and 4-2 shots on target plus 4-1 shots off target. 2-1 at 84 minutes and I was ecstatic! I found this tool really useful especially when you get lots of games all in play at the same time. waiting for something like this for a long time. Great work guys. draw and a goal went in!! promising start. charge a fortune for this after the first month! Was using £3 stakes. Great stuff. Some strange Romanian game, I noticed at 1-1 the away team had 61% of the ply and were available at 7.4, so I backed them. Low and behold, 10 mins later, they scored. 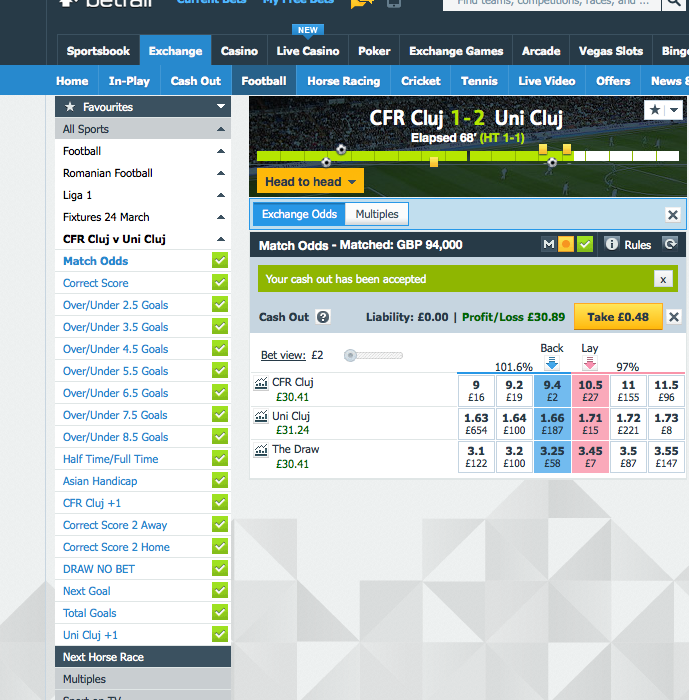 £10 liability, traded out for a £30 profit!